What did Partakers do in 2013? How did Partakers start and why? What Happened In 2013 on the WOW USA trip? What is the who, what and why of Partakers? infilling of the Holy Spirit? I will be hoping to return to the US & Canada in 2013! If you want a visit, leave a comment and we will see what ministry we can do together there! What inspired you to visit the USA in 2010? What Does Jesus Christ Mean to you? How do you help a new convert to become a disciple? When does one truly receive their salvation? If somebody is struggling with God and salvation, what can they do and how can we help them? What are your thoughts on the infilling of the Holy Spirit? I will be hoping to return to the US & Canada in 2013! If you want a visit, leave a comment and we will see what ministry we can do together there! 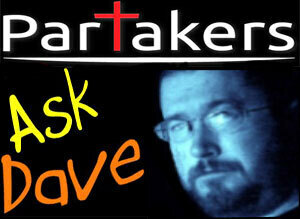 This is a general interview about my life and my Christianity. visit the United States of America in 2010?